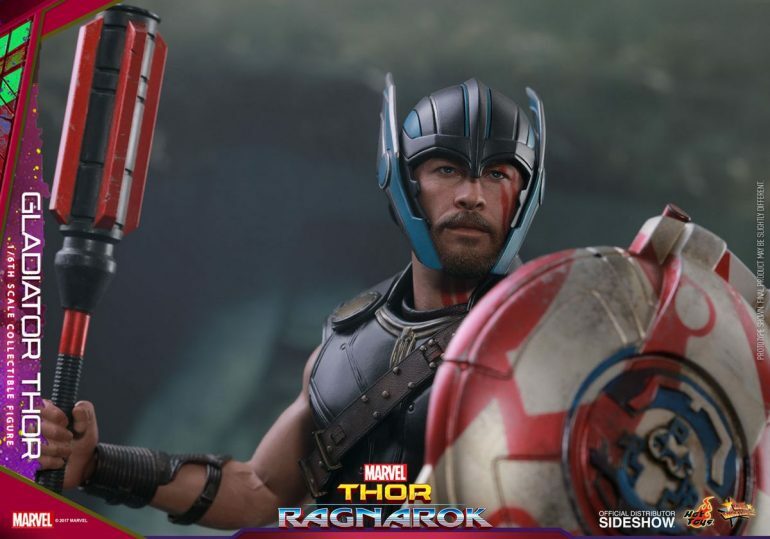 The mightiest God of Thunder, Thor, will be fighting along with the rest of the team against the new powerful villain Hela from putting an end to the Asgardian civilization in the blockbuster Thor: Ragnarok. 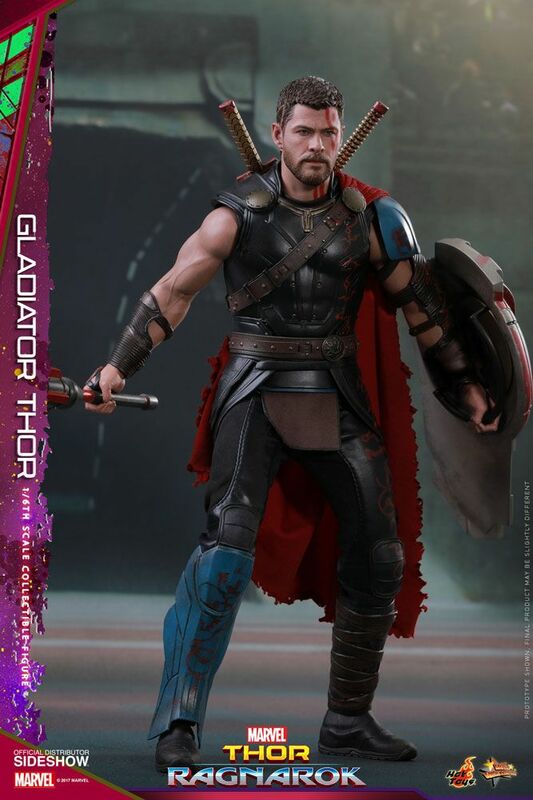 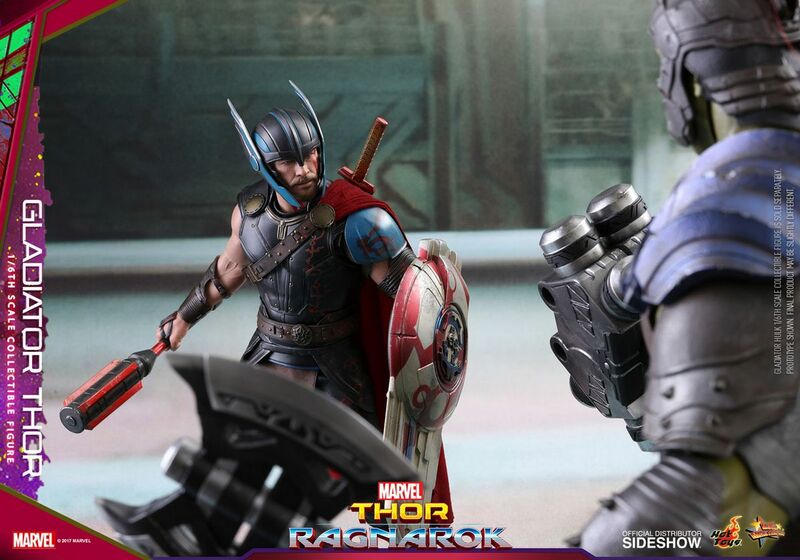 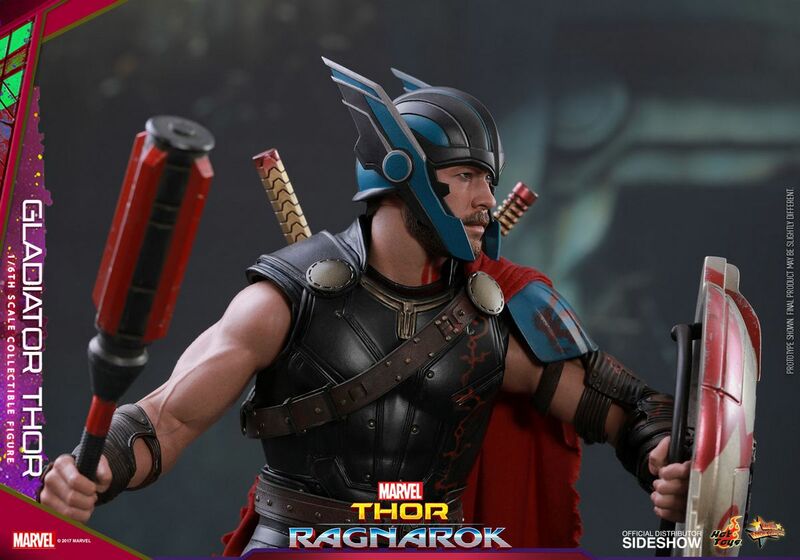 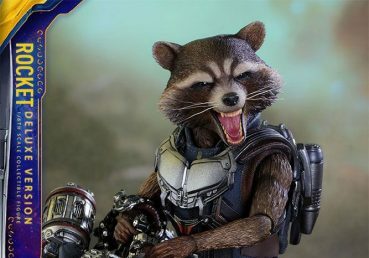 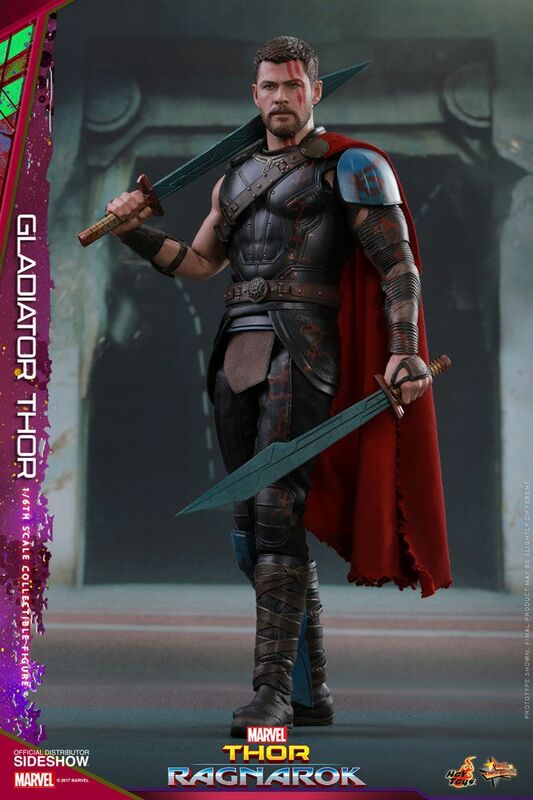 Sideshow and Hot Toys are thrilled to introduce the sixth scale Gladiator Thor collectible figure. 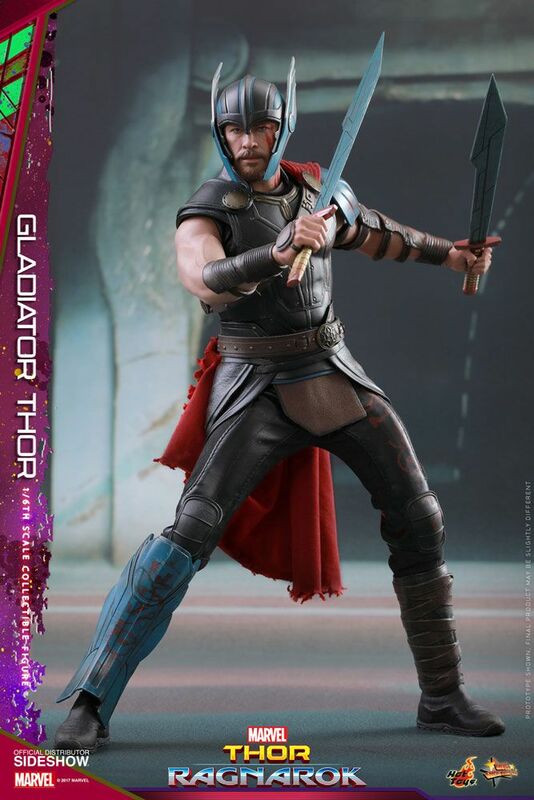 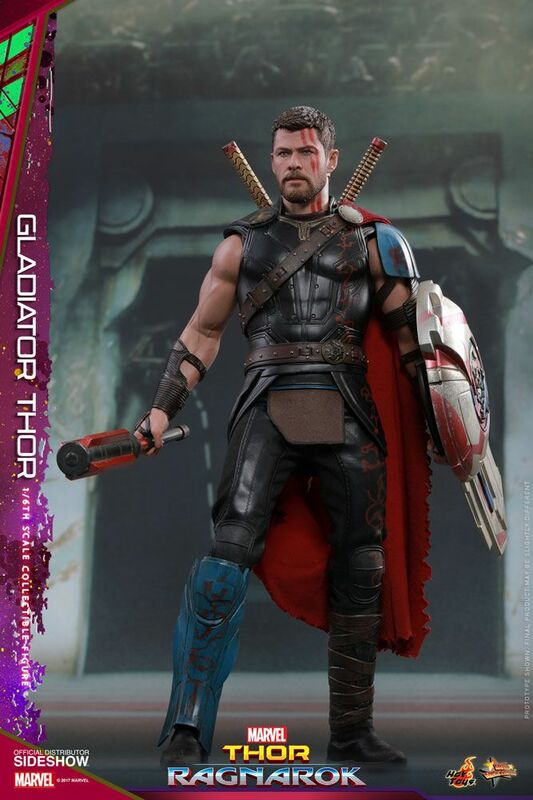 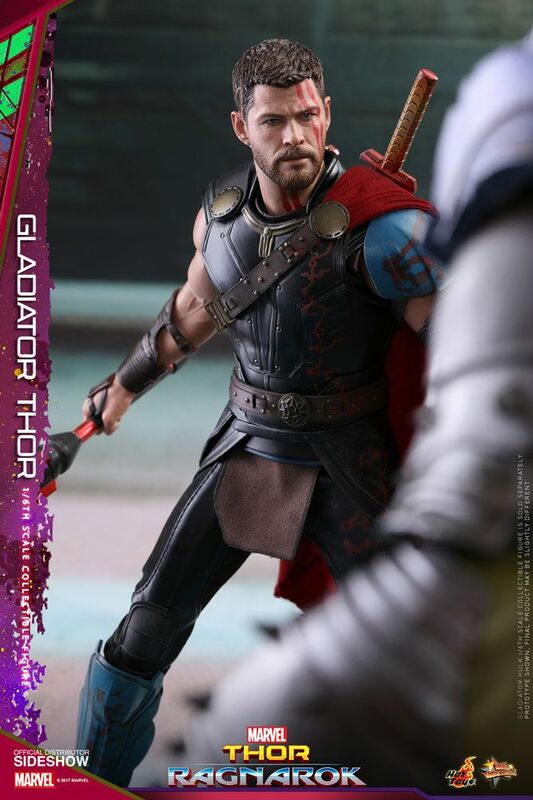 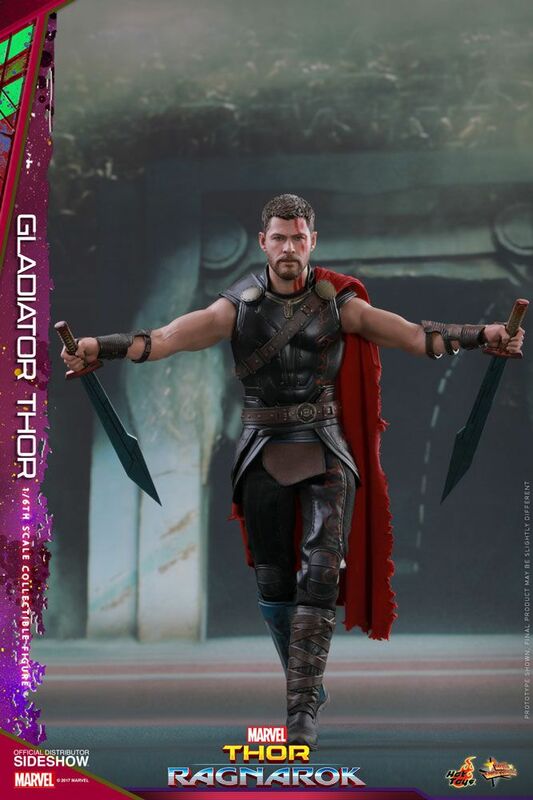 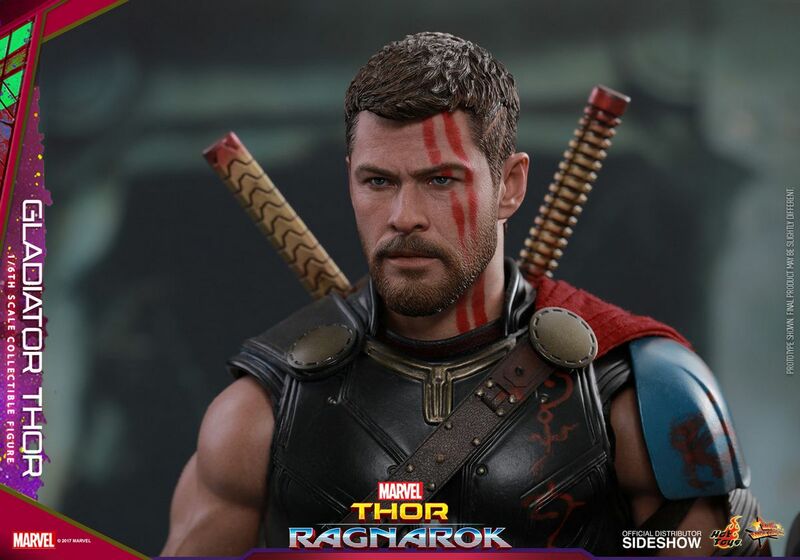 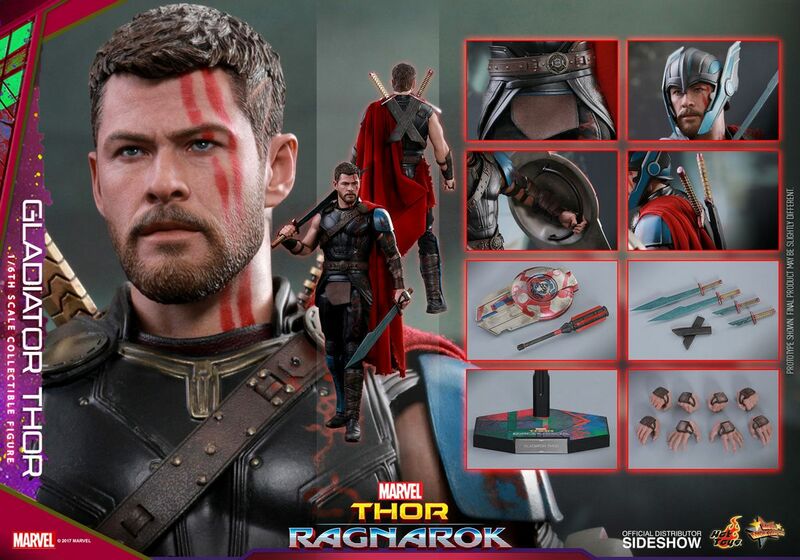 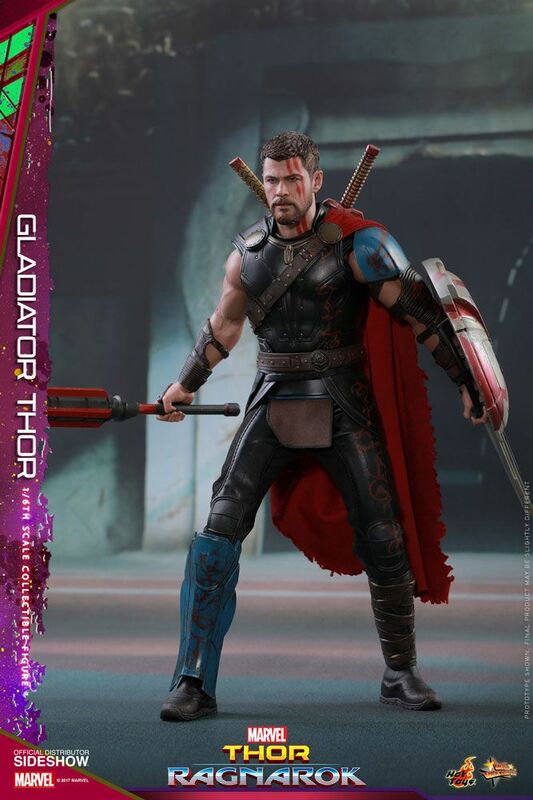 Featuring a brand new appearance, the Gladiator Thor collectible figure is meticulously crafted with an astonishing likeness of the actor Chris Hemsworth as Thor in Thor: Ragnarok. 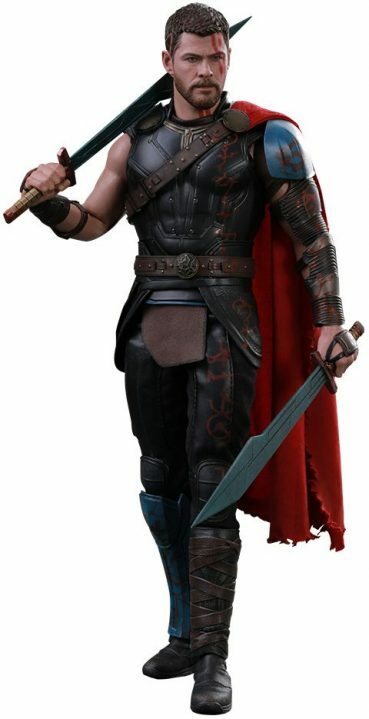 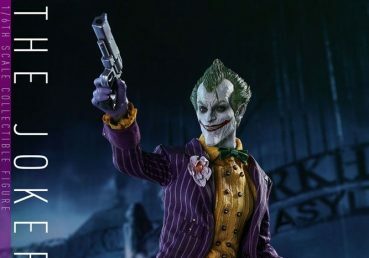 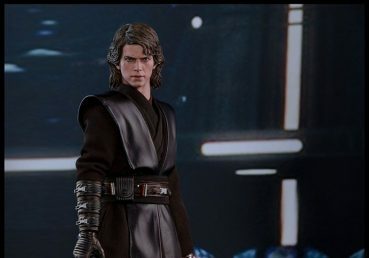 The figure has a newly developed head sculpt with Gladiator marking, a specially tailored gladiator armor with a red-colored cape, a Gladiator helmet, a shield, an assortment of weapons including swords, daggers, and a mace.